The film follows the struggle of Ali (Amir Farrokh Hasemian) to win second place in a running competition so he could take home the prize, a pair of shoes. It may sound simple enough but it seems that winning second place is harder than winning first place. The whole movie happens from the point of view of a child. Thus, things seem simpler until you realize that the it only seems simple because it is honest. The movie started with a quest to find the slippers that Ali lost. The slippers belong to her sister, Zahra (Bahare Seddiqi). Their family is so poor that they can't afford to buy a new new pair. They are then forced to look for ways on how they can go to school and do their individual activities while they look for a way on how to replace the lost slippers. The beauty, however, lies in how the Ali and Zahra reacts to the situations they are given. They are good children with intact values. It could have gone the route of a corny movie about two children who seems to do nothing but good. Instead, the narrative was able to successfully explore how the children thinks and rationalize things. That enabled the audience to understand that how they act is, by no means, a pretentious attempt of the filmmaker to portray goodness in every child. Instead, their decisions became a logical result of their logical reasoning. Every now and then, you will find yourself nodding in agreement at what they do. It's not because you admire their "right decisions" but because you feel it's a logical choice. 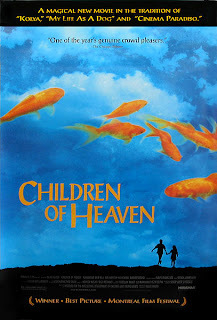 It is interesting how Director Majid Majidi was able to put color and beauty in an untouched poor community. There was no effort to aesthetically improve the community and the background. Majidi shot it as is which helps the audience to understand just how poor the community is. It also helps me understand the kind of environment and the kind of life Ali and Zahra lives. That, naturally, helped me understand the kind of people they are. However, Majidi was able to make the place look poor without making it look sad. It looked natural but not sad. That also helped me understand the kind of decisions the two main characters were making. It helped me see them beyond being poor. Poverty was not their main identifying feature. Poverty is what they live in but it is not what they are. 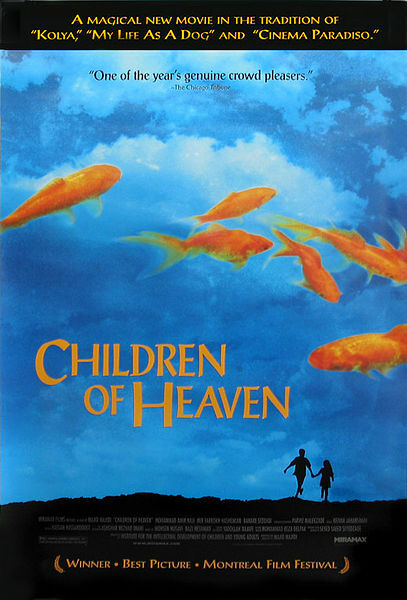 There have been many other movies who attempted to take the route that Children of Heaven successfully took but none has done the way Children of Heaven did. Watch it now. Come back for more Must See Foreign Films.